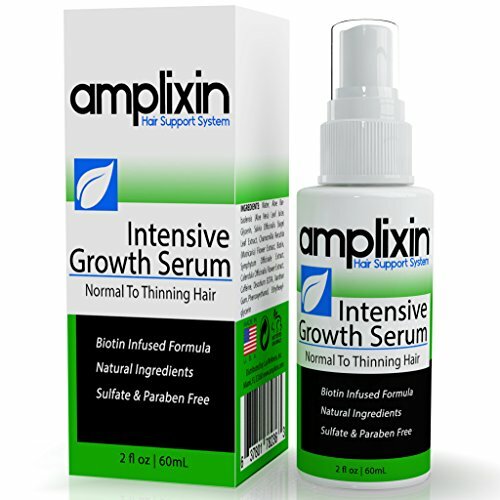 Amplixin Intensive Growth Serum is a natural, leave-in hair product that restores moisture and shine to the scalp and roots. Biotin infused formula adds volume and body to damaged follicles. 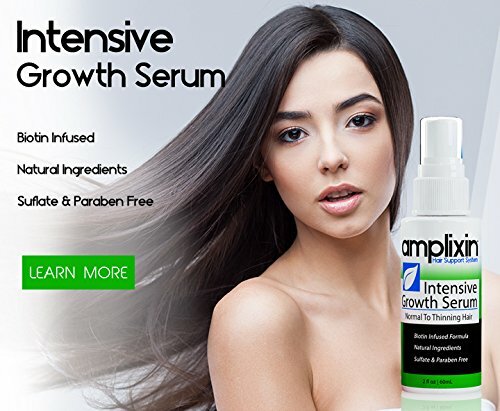 Using the latest research, technology and natural botanical extracts, Amplixin Intensive Growth Serum stimulates roots to promote healthy hair growth. Benefits: Doctor approved product. Moisturizes Scalp and Roots. Deep Cleanses Follicles. Improves Hair Appearance. Biotin Infused Formula. Sulfate and Paraben Free. Active Ingredients: Caffeine - International Journal of Dermatology concluded that caffeine applied topically can act as "a stimulator of human hair growth." Caffeine is easily absorbed by the skin and can promote healthy-looking hair. Biotin - Since biotin is part of the Vitamin B group, it helps maintain healthy hair. When hair becomes unhealthy it can become fragile, break more easily and possibly fall out. Some women may experience hair loss during and after pregnancy and biotin may help reduce this type of hair loss, according to the American Pregnancy Association. 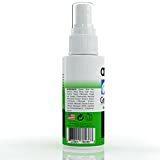 Aloe Vera - Native Americans have long used Aloe Vera inner gel to keep their hair healthy and prevent it from falling out. 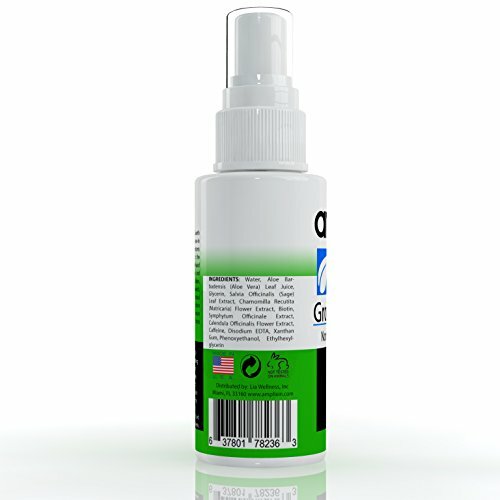 It helps heal any damage on the scalp, cleans the pores, relieves irritation and maintains proper balance in the scalp.